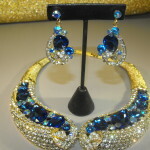 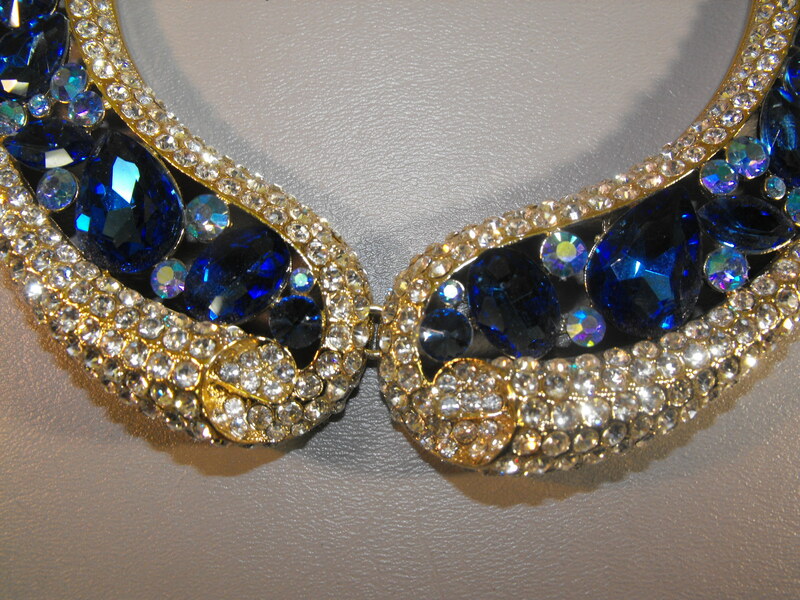 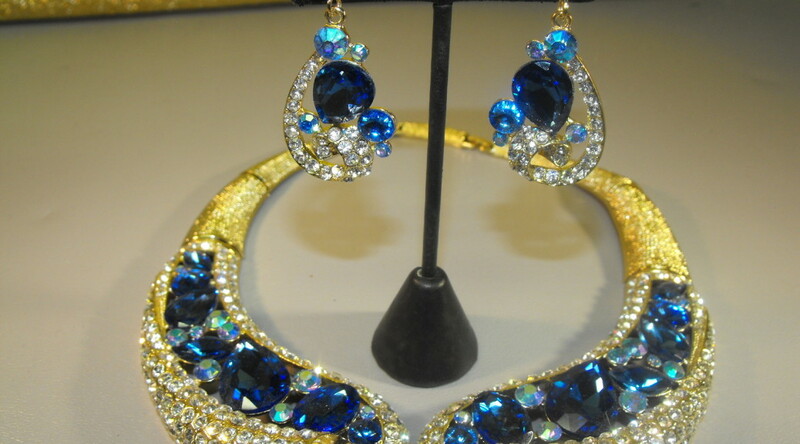 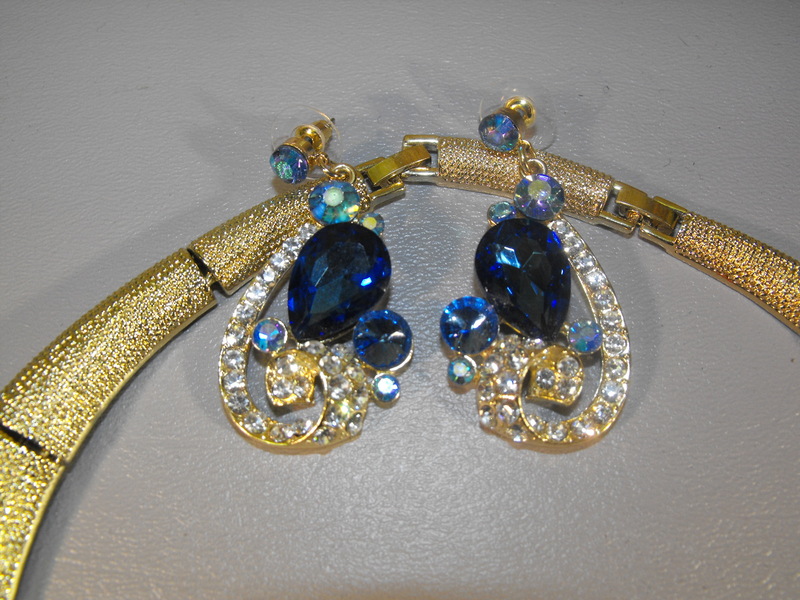 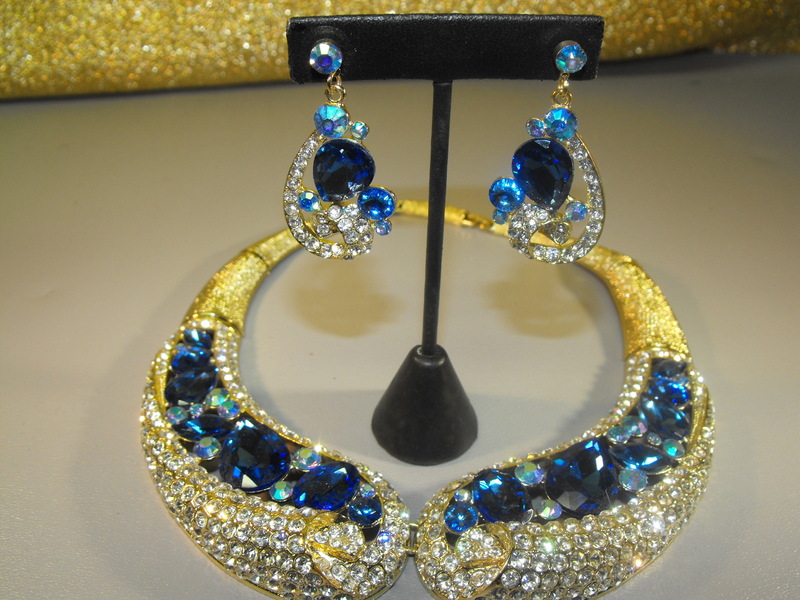 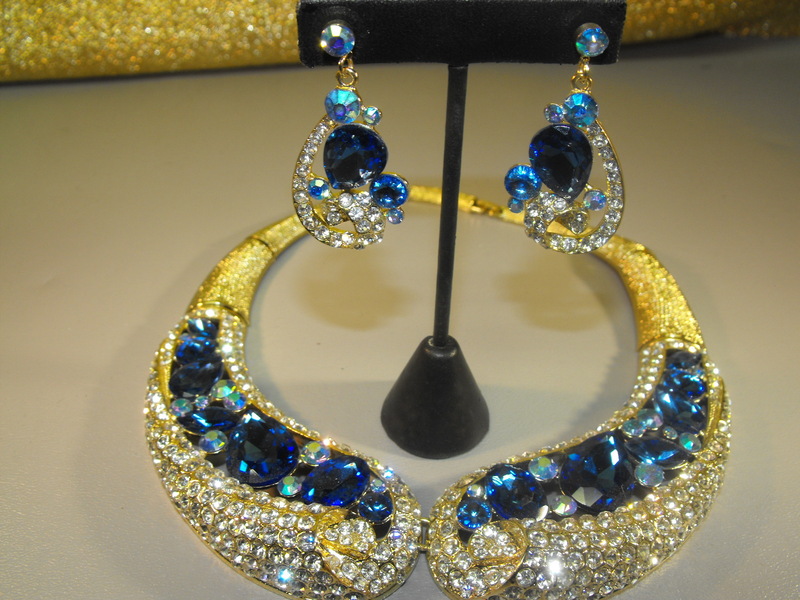 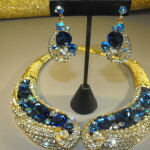 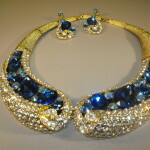 We guarantee that heads are going to turn on the Ballroom Floor with this 1980’s “bling” and sparkle all in one hinged, scrolled necklace set consisting of white Rhinestones, blue crystals and blue Aurora Borealis crystals with matching pierced earrings. 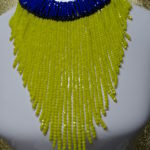 The main hinged centerpiece is connected to a segmented rasp style neck piece. 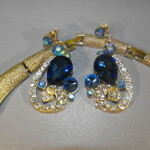 The matching scroll, pierced drop earrings measure about 1-1/2 ” in length. 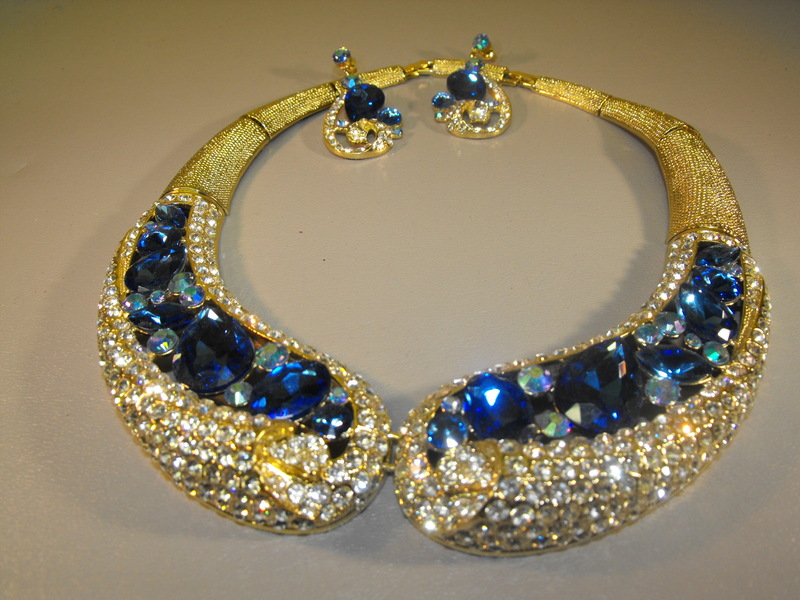 So….if you want to make a “belle of the ball” statement, this is the way to do it. 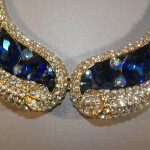 First time buyers receive up to a 20% discount so please click HERE for details.